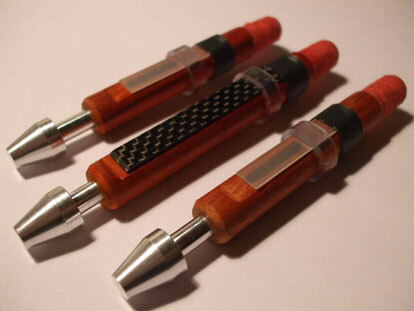 The RedWood drone reed has been designed and created by Xavier and Jakez Boderiou. They are a cross-over between the traditional cane reeds (also available on boderiou.com) and synthetic reeds. 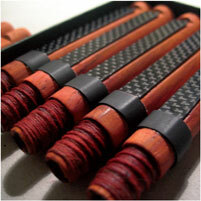 The body of the reed in padouk (african red wood) allows for maximum absorbtion and stability. The glass fibre tongues for the tenors and carbon fibre tongue for the bass drone require low maintenance. 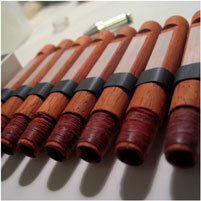 Each set of RedWood reeds are tested on several instruments in order to ensure compatibility with your bagpipe.